Colorado Governor John Hickenlooper for the second year in a row mentioned civil unions in his State of the State address. 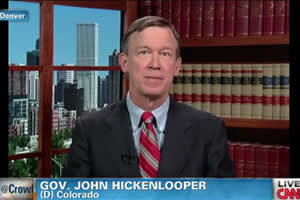 Hickenlooper also endorsed civil unions during last year's address. State Senator Pat Steadman earlier this week introduced his civil unions bill for a third time. In previous sessions, Republicans who controlled the House blocked the proposals from reaching the House floor. Rather than allowing a vote on the bill last year, Republicans shut down voting altogether, killing nearly two dozen unrelated measures.